The United States Junior Chamber and the American Cancer Society: committed to the fight against cancer! The American Cancer Society is the nationwide, community-based, voluntary health organization dedicated to eliminating cancer and diminishing suffering from cancer through research, education, advocacy, and service. 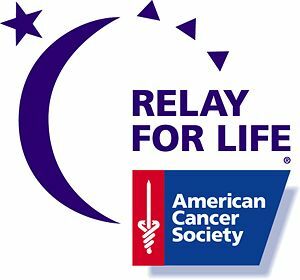 Since 2008, The United States Junior Chamber has formally partnered with the American Cancer Society through participation in Relay For Life events across the country. The Jaycee commitment to the American Cancer Society has resulted in an expanded partnership to defeat cancer. Click on Find a Relay, and search by zip code or City and State to find the RFL that your team wishes to participate in. Please make a print screen of your registration confirmation, for future reference if needed. You are now registered to FIGHT BACK with ACS and the US Jaycees. Your team will be viewable through your local RFL event website and on the US Jaycees/RFL Non Corporate Team Page. The best part--no additional reporting is required for US Jaycees, all online donations are tracked automatically through the website. Offline donations are also reported to your USJC RFL Program Manager on a regular basis. Of course teams are encouraged to verify their information from time to time and report any discrepancies or ask any questions...anytime. You can raise money directly through your team site, team members can email friends and family, personalize their individual pages, and share their fundraising efforts with their Facebook Friends. Please be sure to take photos at your Relay Fundraisers and Events. Photos and stories can be submitted to your USJC Relay PM. Chapters are also encouraged to submit their stories to the US Jaycees Magazine. The US Jaycees are committed to FIGHTING BACK alongside the American Cancer Society. We ARE making a difference and saving lives together!